Adding "geo" to "social" seems more difficult than expected. I still believe that showing where you are and promoting your favourite venues is a good idea: actually many friends do it, also on social networks, posting pictures, celebrating dishes and drinks, sharing the happiness of their company. But very few use Foursquare, FB Places or similar and the number of my contacts going geo-social is not growing. Some figures: only 20 4sq friends; 4-5 occasional FB Places users; 5 additional Gmail contacts to add (of 1.243); 8 Twitter contacts (of 86); 1 Facebook friend (of 447). But most important: figures are not ramping up, 50% of my 4sq friends just check-in once a week or less and 2 left the network. Privacy concerns? Some friends expressed it, as expected. The strange thing is their presence on FB and the clues they leave there. More simply, many don't see any purpose in "checkin-in". And earning points does not help: it's "childish" for the mature guys of my age, but our sons generation don't seem more excited. It would be interesting for me to see who's around in Rome or Milan or Turin when I'm there and, as an example, I can't have dinner before 10PM. Not uncommon to me and colleagues, but I can't call them one by one. And what about dining suggestions? 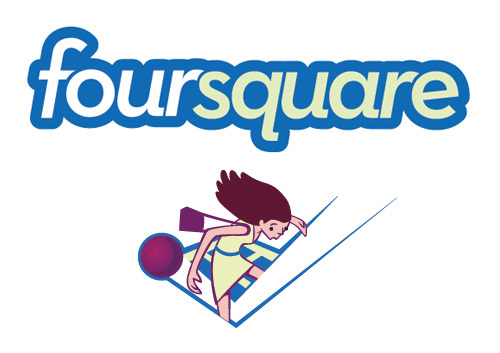 We all rely on suggestions when looking for something new, why not sharing our tips on 4sq? Retailers and venue managers don't seem active either, but it's less suprising. I still believe that geosocial networking has a great potential and maybe through Facebook could finally ramp up, but recruiting seems to be relevant only in some geek-like environments. I still believe that commercial opportunities are huge and geosocial networking can i.e. significally reduce a venue startup and promotion costs. But human nature has subtleties that one never learns completely: is there a remote possibility that our bold acceptance of old classmates and new friends of friends as friends converts in shyness when the chance of meeting them in person materializes? Opinions and facts are welcomed. I have to admit that i typically get bored to read the whole thing however i believe you possibly can add some value. Bravo !